One of the chief concerns couples have is the about the safety of the procedures that fertility specialists use to help them achieve pregnancy, such as IVF (In vitro fertilization). Most of us in the field know that serious complications to the mother-to-be can occur but are quite rare. A recent study with the lead author from Emory University looked through nationwide database of IVF clinics across the country over the past 12 years, and confirmed that while IVF does entail risks for women, those risks are quire small. Artificial eggs and sperm- are they on the horizon ? Could a cure for real cure for infertility be on the horizon? Today many causes for infertility can currently be successfully treated such fertility issues caused by damage to fallopian tubes, ovulation disorders, endometriosis and low sperm counts or motility. These treatments currently available to us include fertility drugs, insemination, surgery and IVF. However, there are still issues in assisting women have very few or no eggs left or men who produce no sperm at all. This is a particular problem for women since women produce all they eggs they will in a lifetime while still in their mother's womb, and by their mid 40s have hardly any normal eggs left. These couples can be successfully treated only with the use of donor eggs or sperm. While these donor procedures are often quite effective, the children who result from these pregnancies do not carry the DNA of one or both of the parents. This is a problem since most couples who seek out the help of a Reproductive Medicine specialist want their own genetic children. With our current state of reproductive science this may not be possible. One potential way around this would be using stem cells in the lab using cloning technologies. A group of scientists at the Weizmann Institute in Rehovot, Israel and Cambridge in the UK have brought us a little closer to this cure, figuring out how to more efficiently get these stem cells to grow into cells that will eventually develop into eggs and sperm. Their findings were recently published in the journal Nature. The researchers have yet to take the next step; producing eggs and sperm from these stem cells. While it may become technically feasible, besides the technical issues, there are ethical concerns, perhaps even greater than when IVF when first introduced to overcome before this proceeds. IVF was enormous breakthrough when it was developed, but it is still merely a replication of natural conception, albeit in a laboratory dish. If this next step is even possible, it could bring reproduction to entirely new level. These technologies may make it possible to have genetic children without ovaries, without testes and without age limits, shattering our concepts about parenthood, even more so than it is today. It is not clear if society is ready for this yet. As we reported in our blog earlier this year, fertility specialists in Sweden transplanted uteri into women who were unable to carry a pregnancy to help them. They were presumably motivated by one of the remaining challenges in Reproductive Medicine, helping women who were born without a uterus, or have had their uterus removed or have severe scar tissue in the uterus making it difficult or impossible to carry a pregnancy. 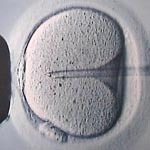 The only options for these couples until now has been to use a gestational carrier with IVF to carry the pregnancy for them, what most people think of as a “surrogate.” Picking up on research that began over a century ago, doctors in Sweden used modern surgical techniques and medications to enable transplantation of the uterus. There is now some good news on this front. One of these transplants in Sweden resulted in a healthy live birth. The pregnancy and birth were not without complications. The baby was born 9 weeks early and the mom developed pre-eclampsia, a serious condition in pregnancy also known "toxemia" whose symptoms include high blood pressure and swelling. The doctors are also unsure if the uterus will be usable for a second pregnancy. Still, this an exciting first in Reproductive Medicine. Can Vitamin D make you more fertile? In recent years, Vitamin D has become the all the rage in medical research. It seems everybody these days is deficient in Vitamin D and a whole range of medical conditions from cancer to osteoporosis to reproductive issues have been potentially linked to insufficient Vitamin D. A recent study, which was in agreement several other previous studies, showed that women doing IVF with higher Vitamin D levels actually had significantly higher pregnancy rates than those who did not. While it is not clear at this time whether Vitamin D deficiency actually causes infertility or even whether supplementation will help couples conceive, it does suggest that maintaining healthy Vitamin D levels may contribute to good reproductive health. Breast cancer drugs to treat infertility ? This sounds kind of odd. Why would fertility specialists use a drug intended to treat breast cancer patients to help couples conceive? To those in the field, the concept is nothing new. Clomiphene (Clomid) is a close relative of Tamoxifen, a drug used for years to prevent the recurrence of breast cancer. These drugs which block the action of the female hormone estrogen, cause hormone fluctuations that stimulate eggs to grow. Over the past decade, doctors have begun to use another breast cancer drug called Femara or Letrozole to treat couples in with infertility. Like tamoxifen, letrozole is used to prevent recurrence in breast cancer patients, and like clomiphene, it can also be used to stimulate ovulation (release of an egg). Until now, clomid has been the gold standard to help make women ovulate since it is relatively inexpensive and safe. Recently, however, a large study was published suggesting that letrazole may actually be more effective than clomiphene and result in fewer multiple births. Over time, it is likely that letrazole may replace clomiphene as a first line fertility drug. Think going through fertility treatment today is stressful ? Imagine in a world in which everyone suffers from infertility, everyone needs donor embryos in order to get pregnant and there are not nearly enough embryos to around. Lifetime network plans to release a trailer for a series called the Lottery with just that story line. In the show, mankind faces extinction as no one is able to conceive and no babies are born. The only hope is in a small batch of embryos, the fate of which, and of mankind's survival is left up to a lottery. Mini IVF -lower costs but at what price? The Wall Street Journal recently published an article on one of the hot topics in Reproductive Medicine, Minimal stimulation IVF, also known as "Mini-IVF." This is IVF with very low doses of fertility drugs. It certainly sounds appealing, fewer drugs, fewer doctor visits, fewer side effects and less cost in order to have a baby. But, like most things in life, there is always a downside. Mini-IVF has significantly lower pregnancy rates than regular IVF. Does it work for some couples? Absolutely. Is the lower cost and hassle worth the lower chances for pregnancy? At this time, the jury is still out. Like most Reproductive Medicine practices, we perform what we refer to as "Third Party Reproduction" meaning we use donor sperm, donor eggs, gestational carriers for couples who need these procedures. One of the problems with the use of an egg and sperm donors or surrogates and gestational carriers, is that using them can be rather pricey. A lot of effort is required to make sure all parties involved are protected medically and legally, and so many patients may be tempted to do this at home without medical intervention. This story of a "Turkey Baster" do it yourself surrogacy from the UK illustrates why it is so important not to try this at home. For most couples going who use assisted reproduction, one of the foremost concerns they have is about the health of the children they will hopefully deliver. While there are some concerns about the risks of birth defects and other complications of pregnancy in IVF babies, little was known about how these children do long term. Now, there is some promising long term data coming from Melbourne, Australia that suggests IVF kids do just fine as they grow into adulthood, with generally similar quality of life, health and educational achievement to normal conceived children. With government agencies in the US and UK, considering allowing the use "cloning" technologies to prevent the transmission of mitochondrial disease, nuclear transfer has become a hot topic in Reproductive Medicine. As discussed in our prior blog post, IVF is used to obtain eggs from both the intended mother and an egg donor, and the nucleus of the egg (which contain the mother's genetic material) is transferred into the donor egg (which contains healthy unaffected mitochondria). British authorities have now issued a draft guidance document recommending letting research proceed on mitochondria donation. What will the USFDA recommend and will this type of research to help couples with mitochondrial diseases move forward? Only time will tell. With all the changes happening in our healthcare system, one of the most common questions we get is about whether the ACA will affect our patients' coverage for infertility testing and treatment. The answer is yes and no. The Affordable Care Act requires coverage of maternity care and contraceptives, but is says nothing directly about infertility. In New Jersey, we have a law called the Family Building Act, which requires certain insurance plans to cover treatment including IVF, but many companies are already dropping coverage though various loopholes, and it is unclear whether the infertility mandate will survive healthcare reform. The law allows each mandated state's "benchmark plan," to follow the states' mandates until then end 2015, with the federal government picking up the tab for those who pay a lower premium. After that the federal subsidies will end, and the states themselves must come up with the funds to continue the mandates. It is unclear whether that will happen. Is there any good news ? Yes, some. At Princeton IVF, we do participate in all the plans on the New Jersey exchange including Horizon Blue Cross, Amerihealth and Health Republic, including the benchmark plan at Horizon that covers IVF. Babies with 2 genetic mothers coming soon? Most of the genetic material in our cells is contained in the chromosomes which we inherit as a mixture from our mothers and fathers, but not all of it. A small amount of DNA is found in the mitochondria, the little structures in our cells that act like batteries. The only way to prevent the transmission of the genetic diseases of the mitochondria to date in couples who wants their own genetic children has been through the use of donor egg IVF. The problem is with donor egg is that the baby receives no genetic material from the the mother, and that only way around that problem would be to move the nucleus (which contains mom's genetic material) from the mother's egg into a donor egg. That process is called nuclear transfer and was banned by the US government because it involves cloning technologies. Now the FDA is considering lifting the ban to allow research into IVF with nuclear transfer for mitochondrial diseases. If successful, this would create babies with 3 genetic parents for the first time, a genetic mother, a genetic father and a mitochondrial mother. Quite a bit to ponder. Do embryos and the uterus talk to each other? We know that in normal fertile couples it takes an average of 3 months to conceive. 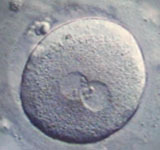 We also know that in successful IVF programs, most embryos will never implant. 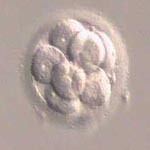 Even when genetic testing is performed on the embryos to eliminate the most common cause of IVF failure, 30% of embryos will still not stick. So, is the embryo sending some sort of message to the uterus that is OK to allow implantation or not? Researchers from the UK, discovered that embryos produce an enzyme called trypsin that facilitates the implantation process, but that embryos which are genetically abnormal produce less trypsin. This may be a way that embryos tells the uterus whether it ok to allow implantation. Perhaps a better understanding of this process may help develop ways to make IVF more successful.